Rock sinks and tubs may need some special care to maintain their surface color. Acidic cleaners may dull it. 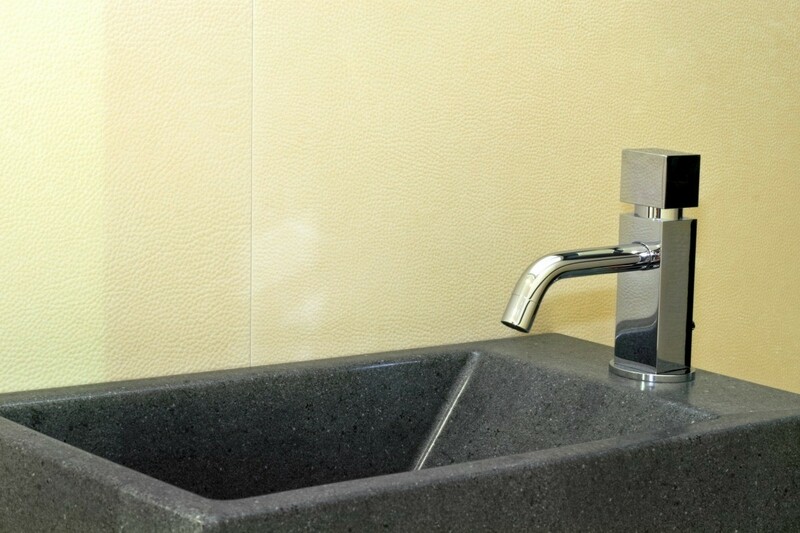 This is a guide about cleaning black granite fixtures. I have had one of those new black granite sinks for a few months. So far it hasn't needed any special care, but it is starting to look gray and dull. What should I use to refresh it? Stay away from any acidic ingredients in cleaners/detergents - vinegar, orange, lemon, lime or even grapefruit. Apparently a mixture of water, rubbing alcohol and a speck of DAWN detergent works wonders.